Regarded as one of the leading voices of her generation, Tarita Botsman made her professional operatic debut at 22 for Opera Queensland in the role of Papagena in The Magic Flute. Spanning a diverse repertoire, Tarita’s operatic highlights have included Zerlina in Don Giovanni, Adina in L’Elisir d’Amore, Despina in Cosi fan tutte, Susanna/Barbarina in Le Nozze di Figaro, Melanthò in Penelope, Frasquita in Carmen, Clorinda in La Cenerentola, Musetta in La Bohéme, Gretel and The Dew Fairy in Hansel und Gretel, Laurettain Gianni Schicchi, Oksana in Tcherevichki, The Governess in The Turn of the Screw, Ännchen in Der Freischütz. A frequent concert performer, Tarita’s repertoire encompasses a vast range and have included, Handel’s Messiah, Orff’sCarmina Burana, Vivaldi’s Gloria, Bach’s St Mathew Passion, Mozart’s Reqiuem, Faure’s Requiem and Mendelssohn’sElijah. Tarita has appeared as soprano soloist with the Queensland Symphony Orchestra, Queensland Philharmonic Orchestra, Tasmanian Symphony Orchestra, Adelaide Symphony Orchestra and internationally with the London Symphony Orchestra and Manchester Symphony Orchestra. In 2005 as the mother of two small children and needing to travel less, Tarita turned her talent to creating The 7 Sopranos. An overnight success, The 7 Sopranos have been consistently in demand performing opera worldwide to an elite clientele including Gucci Australia, Paspaley Pearls, Cartier, Rolex, Mercedes Benz, Maserati and many others. 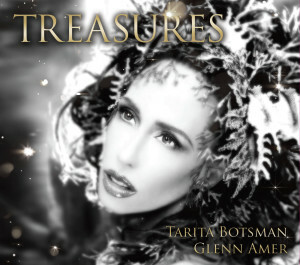 Her 2014 album Treasures was launched in France and since then Tarita has produced two albums with The 7 Sopranos, including most recently, Songs from Stage and Screen. Their first self-titled album, The 7 Sopranos was released through ABC Classics. Tarita Botsman maintains her performance career as a soloist artist performing at events worldwide and will be returning to Australian solo recitals in 2017.